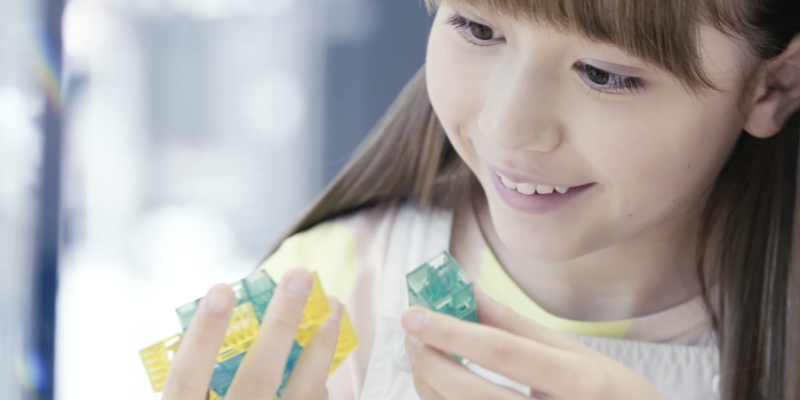 Sony Global Education today unveiled its new educational kit called KOOV, a program which takes a fresh approach to learning robotics and programming. KOOV is the first offering in Sony Global Education’s STEM101 curriculum, announced last autumn. STEM101 was developed as an innovative way of teaching Science, Technology, Engineering and Math subjects in primary schools across the globe. STEM101, which rearranges conventional divisions between academic subjects, comprises three program elements: “Think,” “Make,” and “Feel.” Among these, KOOV marks Sony Global Education’s first offering in “Make,” which focuses on engineering and technology – teaching creative skills, from robotics to programming. 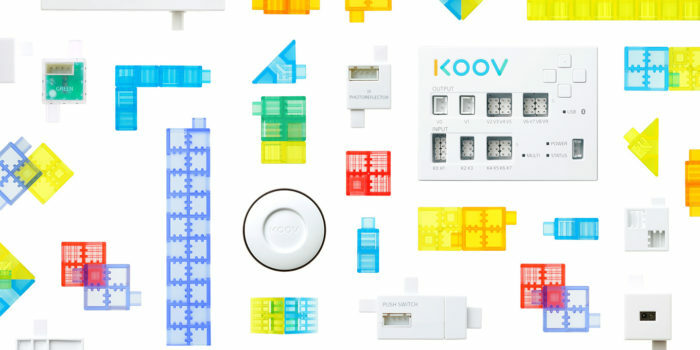 KOOV is a robot building educational kit made up of blocks and a microcontroller. The blocks can be assembled into any shape, with the final figure capable of being controlled as a robot. The kit encourages learners to “Play” by building with 7 kinds of translucent blocks, “Code” by controlling the assembled figure through the program software, and “Create” by embracing their creative side and imagination. KOOV is slated for release in late 2016. The logo imagery for KOOV calls to mind the 1’s and 0’s of binary code, or alternatively, “I/O,” the computer terminology for “digital input/output.” The logo is also inspired by the “<” and “>” symbols used in mathematics. In addition, the “K” and “V” that bookend the kit’s name stand for “key” and “value”, important concepts in the realm of computer science. But whereas “key” and “value” ordinarily form a unique, unambiguous pair as applied in computer science, they are connected by “OO” – representing the infinity symbol (∞) – in the logo for KOOV. This is meant to suggest the infinite combinations possible with KOOV, limited only by the imagination. In many ways, KOOV’s logo is symbolic of its blocks that are a product of the digital age, that are infinite in potential. As rapid changes in technology and the climate give rise to an increasingly complicated modern society, more and more problems are turning into truly global issues. These problems demand solutions, and knowledge alone cannot solve them. Rather, the ability to utilize one’s knowledge to work through a problem and come up with a solution is what is key, perhaps more so than ever.